VI, 542 p., 1 ill., 15,7 x 21,5 cm. Translated from the English by Elisabeth Vorspohl. 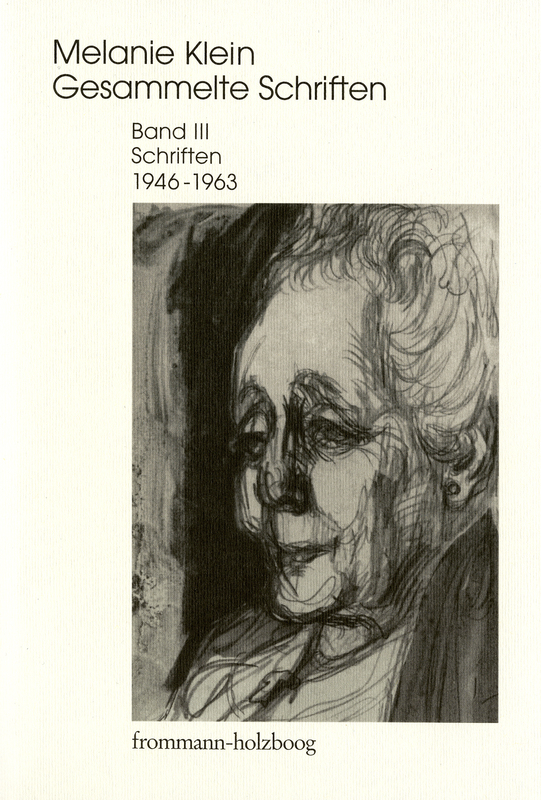 In addition to Melanie Klein‘s theoretical works, this volume contains two works she wrote between 1946 up to her death in 1960 which were published posthumously: In the ›Bemerkungen über einige schizoid Mechanismen‹ (Notes on Some Schizoid Mechanisms) (1946), one of her most important works, Melanie Klein introduced the concept of the »paranoid-schizoid position«, thus providing a detailed description of the psychological processes which dominate the first three months of a child’s life. In ›Neid und Dankbarkeit‹ (Envy and Gratitude) (1957), her last outstanding and controversial work, she developed her theory of »primary envy« and of »gratitude« which take effect at birth as interacting feelings. Insgesamt bilden die 16 Beiträge dieses Bandes ein klinisch wie theoretisch faszinierendes Spektrum psychoanalytischen Denkens, das auch heute noch großen Gewinn und Anregung bietet. Mit dem jüngsten Band sind die theoretischen Schriften Melanie Kleins nun alle in einer editorisch vorbildlichen Form verfügbar.